Snowdrops in my garden. Photo courtesy of Donna L. Long. 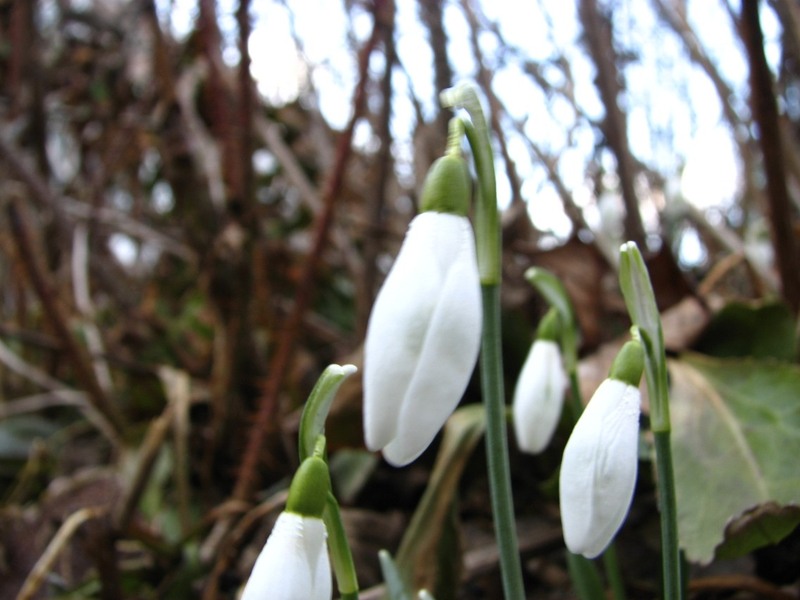 Imbolc is a Celtic festival marking the beginning of spring. Most commonly celebrated on 1 or 2 February (or 12 February, according to the Old Calendar) in the northern hemisphere and 1 August in the southern hemisphere. These dates fall halfway between the Winter Solstice and the Spring Equinox. The holiday was, and for many still is, a festival of the hearth and home, and a celebration of the lengthening days and the early signs of spring. Celebrations often involved hearth fires, special foods (butter, milk, and bannocks, for example), divination or watching for omens, candles or a bonfire if the weather permits. Imbolc is traditionally a time of weather prognostication, and the old tradition of watching to see if serpents or badgers came from their winter dens is perhaps a precursor to the North American Groundhog Day. What signs of spring have sprung in your neighborhood? Sadly no spring….just tons of snow and frigid cold. Today was actually mild and felt like spring. But two days ago was frigidly cold.